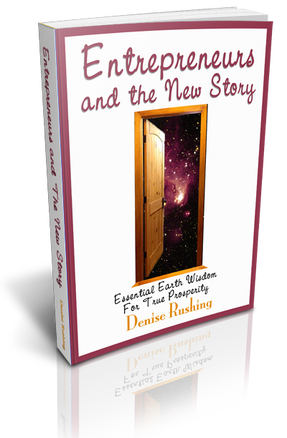 Now Available in the book Entrepreneurs and the New Story. In Entrepreneurs and the New Story, author Denise Rushing interviews seven successful innovators who challenge us to go beyond current thought-patterns and come up with new and beautiful solutions for commerce. These men and women share how they overcame obstacles against all odds to make a difference in the world with their everyday work. Led by a creative spiritual force within, these innovators are poised to create a whole new chapter in Earth’s unfolding story. The conversation will inspire you to think big, get in touch with what matters most so that you can make the difference you were born to make.